IKEA just unveiled its latest collection of designs, and one of the brightest is Ehlen Johansson‘s gorgeous SOLKULLEN LED pendant lamp, which makes efficient use of materials and energy. 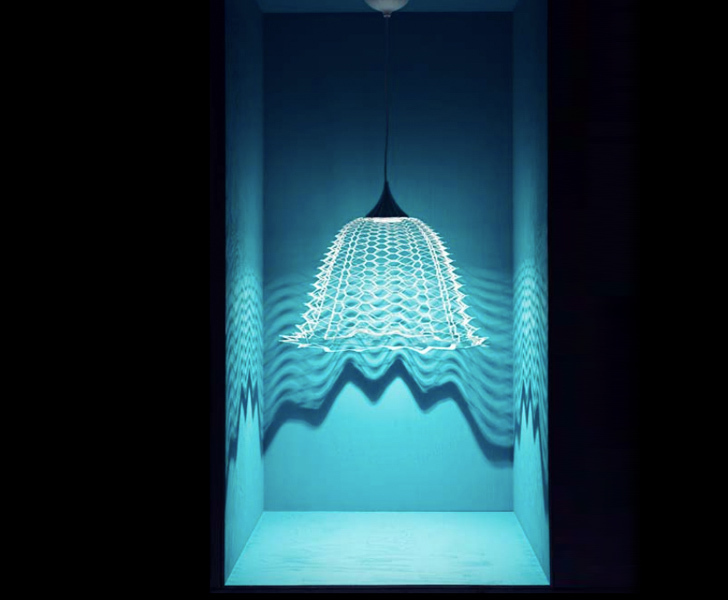 Glowing like a jellyfish, the energy-efficient lamp casts a shadow of waves on the walls around it. The SOLKULLEN lamp is made from paper using a technique originally used for cutting metal – small holes are cut into a sheet of paper, and the lamp expands into a lace-like 3-dimensional shape when it is hung. Thanks to its LED bulbs, the lamp consumes 80% less energy than incandescent lamps, while stretching and contorting into beautiful organic shapes. IKEA just unveiled its latest collection of designs, and one of the brightest is Ehlen Johansson's gorgeous SOLKULLEN LED pendant lamp, which makes efficient use of materials and energy. Glowing like a jellyfish, the energy-efficient lamp casts a shadow of waves on the walls around it. The SOLKULLEN lamp is made from paper using a technique originally used for cutting metal - small holes are cut into a sheet of paper, and the lamp expands into a lace-like 3-dimensional shape when it is hung. Thanks to its LED bulbs, the lamp consumes 80% less energy than incandescent lamps, while stretching and contorting into beautiful organic shapes.